Dave received his first train in 1950. 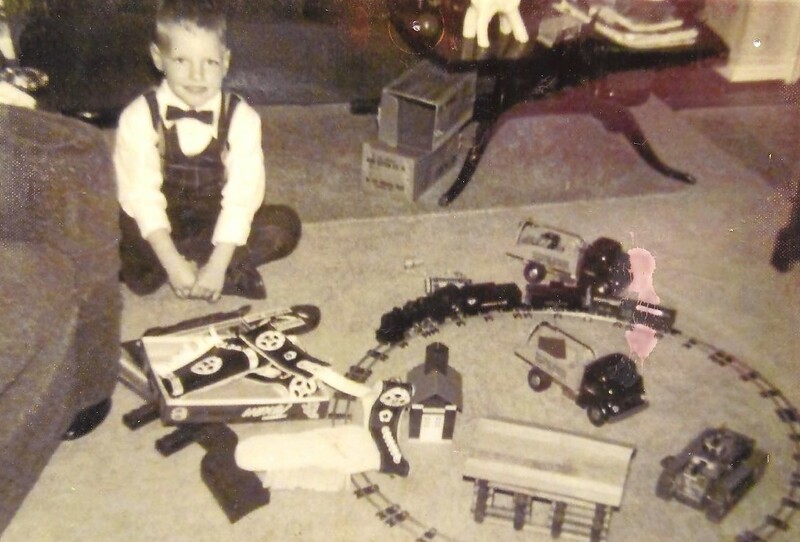 Ever since Dave Adair was a small child, he enjoyed trains. As a youngster, he frequently visited his Slavish grandfather, Dzeda, who lived near the train tracks in East Cambridge. Dzeda also worked in the Klondyke and Black Top coal mines in Guernsey County so he would tell Dave stories about the coal cars as they rolled by. It’s easy to see how Dave became interested in trains and coal mines. Dave’s secret wish was that someday he would be able to have a caboose of his very own – a real one used on the train tracks. 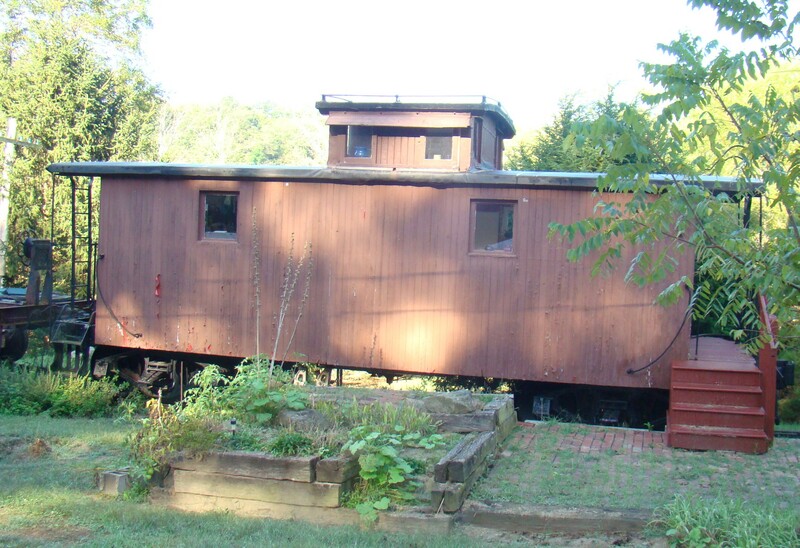 Ellen, Dave’s wife, started his collection with this caboose. Dave couldn’t believe it and looking back on that day said, “It was the biggest shock of my life.” Of course, she told him it would be his Christmas and birthday present for years to come. Little did she know at the time that she was only starting a vast train collection that today fills their home’s yard. 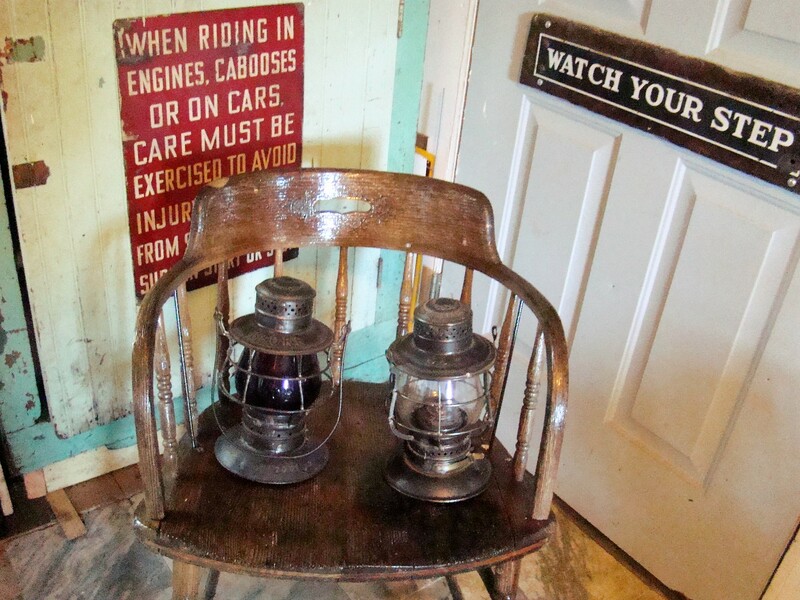 This original chair from a B&O office holds two railroad lanterns. 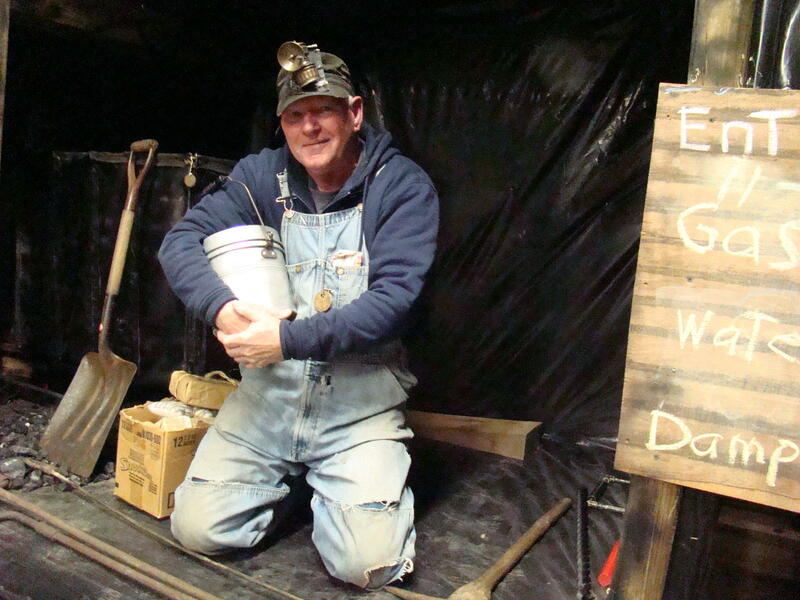 Over the years, Dave has narrowed his interest to Guernsey County trains and coal mining history. Almost everything in his collection came from Guernsey County. Every item and picture is special to him, but he doesn’t have any favorites. They are all part of history. Dave built his own Depot and Museum in his back yard. 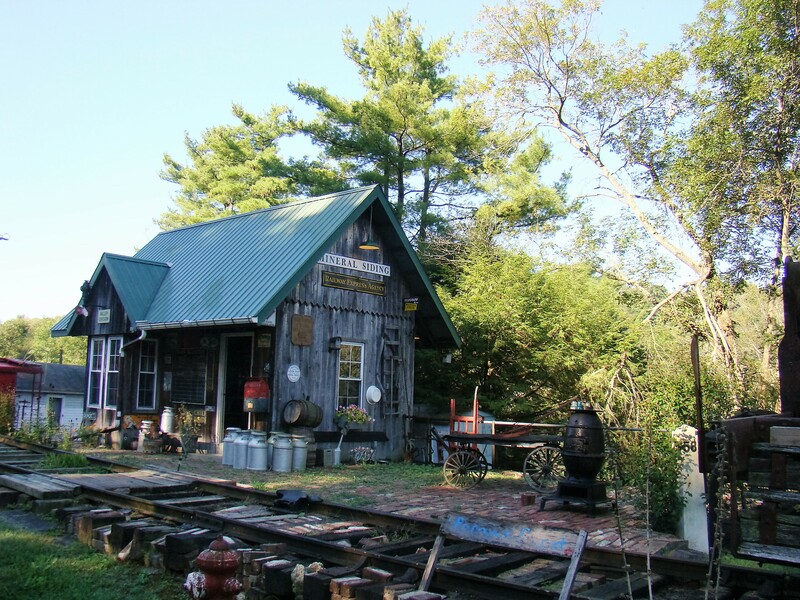 Since there wasn’t any place nearby that had room for his coal mine and train collection, Dave decided to build his own depot at his home and turned it into a museum. Nothing pleases him more than to sit down in his depot and tell stories about the coal mines and trains that were in Guernsey County long ago. But getting him to talk about himself was not an easy task. 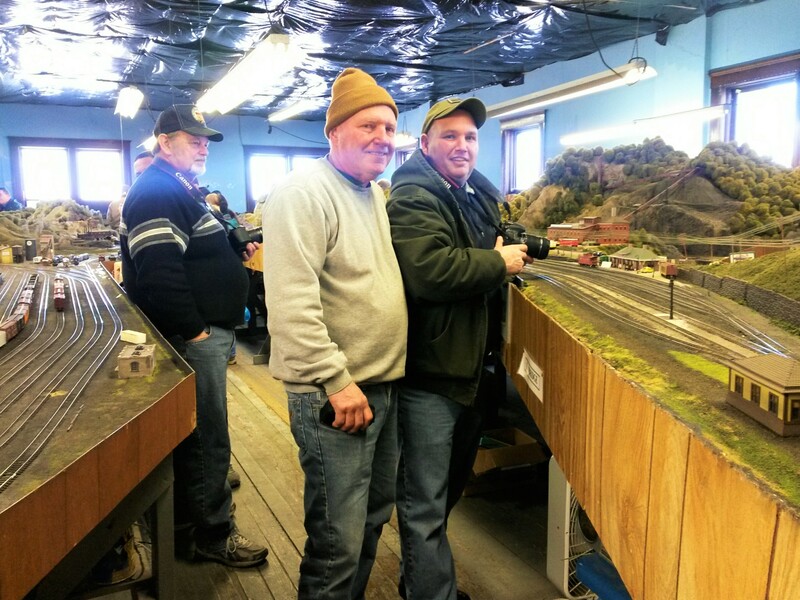 Dave and his son, Alan, look over their large HO display. While he claims to be “an ordinary Joe”, the history he has collected makes him a special person even though to him it’s just a hobby. It’s a good thing to make people happy and that is what Dave does best as he shares his stories and makes people smile. Through it all, his main goal is to preserve the history of Guernsey County trains and coal mines. Dave and his family, thirty people in all, recently went on a short vacation. Where do you think they went? They headed for the train tracks in West Virginia, where they rode the Tygart Flyer. He’s still living his dream.